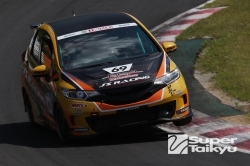 Hong Kong native, Charles Ng has been declared the Asian Touring Car Series 2010 Champion. Following the cancellation of the Korean rounds, due to the delays in the construction of the circuit, Motorsport Asia has been unable to find a suitable replacement event to host the remaining two races and have therefore declared the Championship results as final, thereby crowning young ATCS debutant Charles Ng as the winner. Ng won the Championship by a single point over Macau driver Lui Man Kit. Lui and Ng were closely matched throughout the season with both drivers claiming two wins each over the eight rounds held. Although Macau drivers, Liu Lic Ka and Mak Ka Lok were tied on points in third place, Liu, driving for Hong Kong based Team IMSP took his BMW 320i to the podium four times with two wins whilst Mak, although also being on the podium four times for RPM Racing Team, only had one win, meaning that Liu is awarded third overall.